Luis-Moreno Ocampo announced that eight Libyans from Gaddafi’s Inner Circle would be investigated for crimes against humanity, but did not name names. He said that those on the list had either de facto or formal authority and that they would be held criminally responsible for any war crimesÂ committedÂ by those following their orders. diplomatic sources nameÂ Saif al-Islam, Khamis and Mutassim, although Saadi and Hannibal each command a regiment. Why are only three of his sons under ICC investigation when all seven brothers were named on the UN sanctions list? Mohammed and Saif al-Arab lead low key lives. 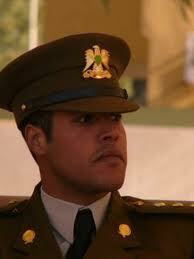 Mohammed is the oldest brother and born to Gaddafi’s first wife. 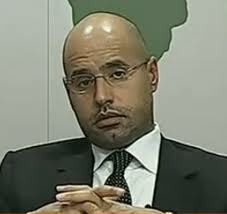 Saif al-Arab has lived most of his adult life in Germany. 1. Minister of Foreign Affairs: Â Musa Kusa (Moussa Koussa). Notably Musa Kusa was NOT on the UN sanctions/asset freeze list. in the bringing down the UTA flight over Niger. 3. Head of Gaddafi’ personal security:Â Abdulqadar Dibri. 4. Head of External Security: Abu Zayd Umar Dorba, former UN Ambassador. WHEN WILL THE IDIOTIC DESPOT SELF PROCLAIMED LEADER OF LIBYA GADDAFI AND HIS IDIOTIC SONS BE REMOVED FROM THE COUNTRY BY EITHER EXTERMINATION OR…..EXTERMINATION, NOTHING LESS. IT’S WHAT THEY ARE DOING TO THE PEOPLE WHO WANT TO TAKE CONTROL, AND RIGHTLY SO, OF THEIR OWN LIVES AND DESTINY, NOT BY THE WHIMS OF A RAVING LUNATIC AND HIS PACK OF RABID DOG SONS. saif, idiot, who told i am dead!!! !, i am the UNDERTAKER! !